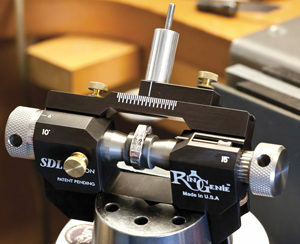 This article lists the following useful bench tools for jewelers including contact information where they can be purchased or ordered. 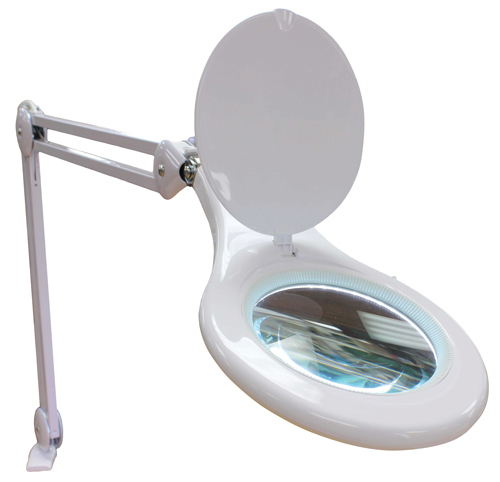 Suitable for use at the bench or on the sales floor, the Grobet USA LED Bench Lamp has 90 energy-efficient bright white LED bulbs and features a 1.75x magnifier. With a convenient clamp designed to attach to a workbench or desktop, the lamp has a 32-inch adjustable arm, full-pivot head, and metal construction for durability. Versatile in use, the Grobet USA LED Table Top Inspection Lamp features 90 ultra-bright LED bulbs that encircle the 4.75-inch 1.75x magnified inspection lens. 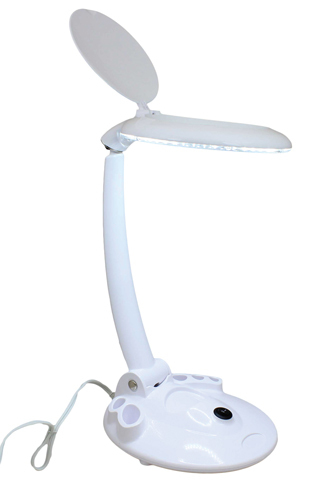 Offering a weighed base that can accommodate small tools and pens, the lamp has an adjustable arm that can fold down 90 degrees and a head that pivots and tilts for clear viewing at any angle. The magnifier has a flip-up dust cover. 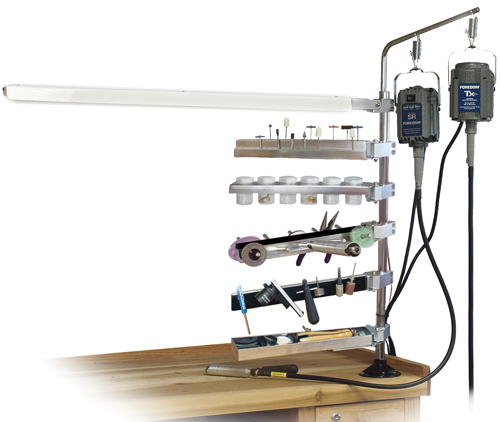 Designed for organizing bench tools and accessories, the Foredom Work Bench System is built around a double motor hanger for suspending flex-shafts. Made of brushed steel and anodized aluminum, this modular system is customizable to accommodate different organization preferences. The system offers five styles of arms, including an LED light bar, that swing horizontally 180 degrees to keep accessories and small tools within reach or stored out of the way when not needed. Choose from a bur holder arm, magnetic tool arm, jar holder arm, and accessory tray arm—all are 12 inches long and sold separately. Easy to use, the Legor Ultrabright Plating Solutions can be used to achieve ultra-bright rhodium plating when creating or repairing a piece of jewelry. 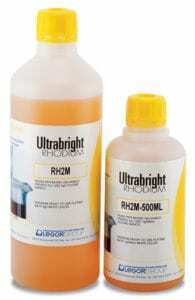 Suitable for use at room temperature, these plating solutions produce brilliant white deposits with good distribution and penetration. 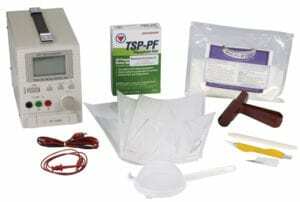 The solutions are available in two quantities: 500 ml and 1 liter. 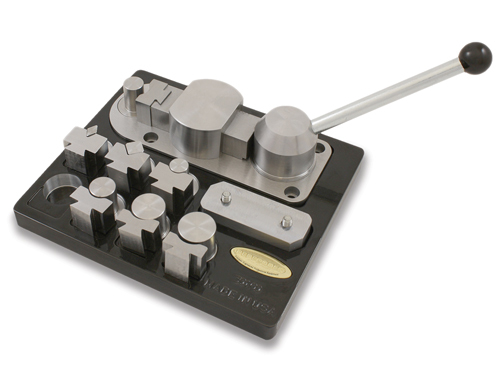 Developed to offer everything needed to make quick and easy work of layout, engraving, inlaying, stone setting, bright cutting, bead setting, and other tasks, the RinGenie is a precision layout tool that can be used with hand and power engravers on metal or wax. With a 360 degree rotating spindle, the system makes it easy to move freely or at finely set intervals, providing versatility and precision. Packaged in a custom-fitted wood case, the RinGenie comes with an alignment plate, tightening rods, a side pointer, a drag adjustment screw, eight plastic collets in sizes 5 through 12, 16 aluminum collets ranging in size from 5 to 12.5, and an instructional video. Designed for use with ceramic polishing tools and small files, the Badeco 8LC100 is a micro polishing and micro filing reciprocating handpiece that helps finish hard-to-reach areas that conventional polishing tools can’t tackle. 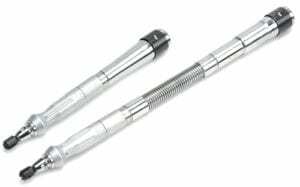 With a stroke length of 1 mm, the handpiece can hold tools up to 3 mm in diameter and can be used at speeds from 500 to 7,000 rpm. 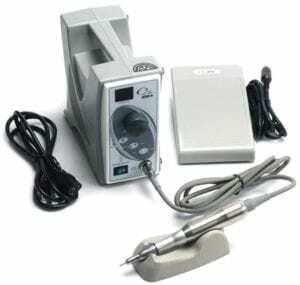 Vibration-free, the handpiece measures 4.25 inches long (108 mm) and weighs 55 grams (1.9 ounces). 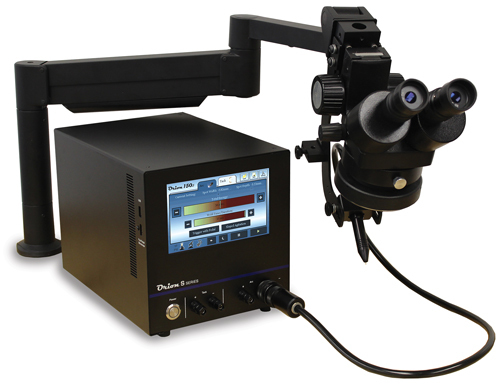 Now featuring a microscope arm that can be adjusted and shared between multiple benches, the Orion 150s uses resistance welding technology with up to 150 watt seconds of energy in tack mode, which is suitable for temporary placement or permanent fusion welding. Its pulse arc mode consists of two distinct energy ranges: micro, which has an energy range of up to 30 joules and is suitable for small or delicate pieces, and ultra, which offers up to 150 joules of energy for projects requiring deeper penetration or a larger spot size. 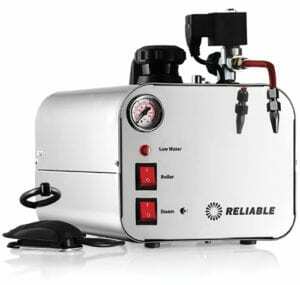 Suitable for use on any metal, the welder features several recent upgrades, including updates to weld parameters to make it easier to weld smaller, more delicate pieces with lower energy settings, as well as a feature that automatically selects the weld parameters based on the metal being welded. 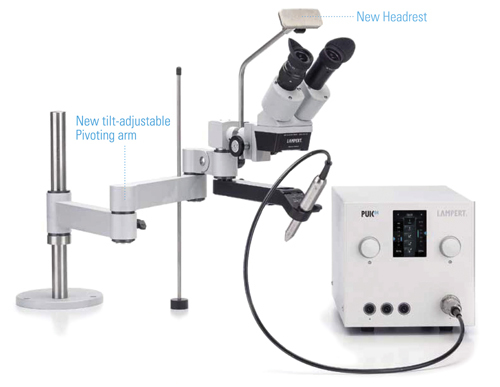 Suitable for welding materials such as gold, silver, platinum, titanium, and stainless steel, the PUK04 with SM04 10x microscope is now available with a pivot arm and headrest for ergonomics and work efficiency. Offering precise positioning of spot welds and the low, controllable development of heat, the system features a welding microscope for precise results, 40 memory slots, and a touch-screen display that leads the operator quickly and easily to the desired welding result. Ideal for pavé setting, the Jura brushless Micromotor Kit offers a slim quick-change handpiece designed to be more comfortable than thicker handpieces found on other micromotors. Designed to fit into an open bench drawer and to operate in either an upright or side position, the micromotor’s narrow control box has a knob-controlled digital speed display, a push-button hand or foot control selection, a push-button forward or reverse direction control, and a manual reset button for safely switching from foot to hand control. Offering a maximum recommended speed of 35,000 rpm, the handpiece measures 3.25 inches long (84 mm), the micromotor measures 3.5 inches long (90 mm), and the control box measures 9 inches deep by 3.75 inches wide by 7 inches tall (228 mm by 95 mm by 178 mm). Created in partnership with Reactive Metals Studio, the Complete Anodizing Kit provides everything needed to begin anodizing reactive metals (metals sold separately). Included in the kit is a solid state micro anodizer, two sets of color-coded leads, a stainless steel cathode, an anodizing basket for small parts, mini-grabber with niobium tip, a brayer, a bone folder, a Soft Touch art knife, Multi-etch cleaning granules, TSP-PF electrolyte granules, Terrific Transfer tape, Mighty Mask sheets, and one sheet of Spark Guard mesh. In addition, buyers will receive a free copy of Studio Preparation and Coloring of Titanium by Bill Seeley. Based on a European ring bender but made in the United States, the Pepetools Superior Ring Bending Tool is a heavy duty and versatile tool that offers the user variety in the degree of bends needed to perform a task. Featuring a 24 mm shank for increased durability, the ring bender has an aluminum-machined, powder coated base that helps allow the user to exert less strength when bending metal. 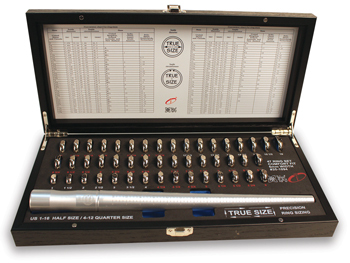 The tool comes with 14 dies that are machined from solid steel and then hardened to 40-44 HRC. 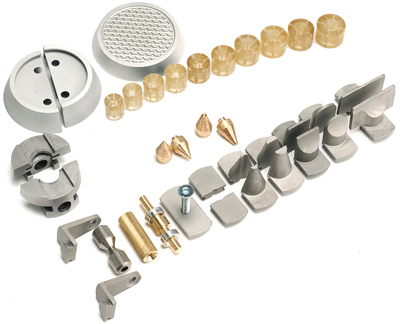 Round dies come in 12 mm, 14 mm, 16 mm, 20 mm, and 22 mm. Developed to avoid sizing errors caused by inaccurate sizing rings and ring mandrels, the True-Size Ring Sizing system manufactured by Ikohe features 47 calibrated comfort-fit 6 mm precision-sized bands. The set’s bands cover sizes 1 to 16 in half-sizes, and one-quarter increments in sizes from 4 to 12. Sold in a wooden presentation box with a sizing chart on the inside lid and a calibrated aluminum sizing mandrel, the rings have their sizes laser etched on the outside. Also available are two calibrated steel sizing mandrels for use at the bench, one with and one without a groove. Made of stainless steel to prevent rust, the Reliable i500 Steamer produces 50 psi of steam and is capable of reaching temperatures up to 221°F (105°C). Suitable for use in both jewelry stores and workrooms, the i500 heats up in 10 to 15 minutes and can provide up to four hours of continuous steam. It is rated for up to 8 hours of use per day. With a capacity of 2.5 liters (0.66 gallon), the steamer has four safety systems, including a pressure switch, probe safety thermostat on the heating element, safety cap with safety valve, and a low water indicator.